The nice people at Microsoft Press have been in contact with me again to let me know that my book Microsoft Exchange Server 2010 Inside Out has now received an “excellence” award from the Society of Technical Communication (STC), the professional body for people who work with technical publications covering subjects from computers to science. 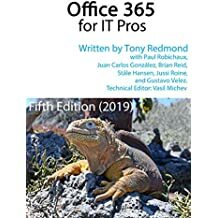 You’ll remember, I think, that your book Microsoft Exchange Server 2010 Inside Out won a regional award of Distinguished from the Society for Technical Communication, Puget Sound Chapter. But, wait – it gets better J Your book has now won an award of Excellence in Technical Communication from the international STC – the highest award they bestow on any book. It will be displayed at the 2012 STC Summit (May 20-23), in Rosemont, Illinois, and will be viewed by hundreds of conference attendees. Apparently this makes Exchange 2010 Inside Out one of the top 50 books published last year in terms of its technical content and design. Clearly I’m very happy for the book to be recognized in this manner as it makes all the hard work done to write, edit, copy-edit, technical-edit, layout, design, index, and publish worthwhile. The folks at Microsoft Press really did an exceptional job with this book. This entry was posted in Exchange, Exchange 2010, Writing and tagged Exchange 2010 book, Exchange 2010 SP1 book, Microsoft Exchange Server, society for technical communication. Bookmark the permalink. “Microsoft Exchange Server 2010 Inside Out” deserve more than this Sir!!! Congratulations!!! It was very much informative indeed to me & Thanks! Well done! It is a great achievement to be recognised like this. It’s the definitive Exchange 2010 book, hands-down. Glad to see MSFT recognizes that! Congratulations on this eve, waiting for your fabulous articles.